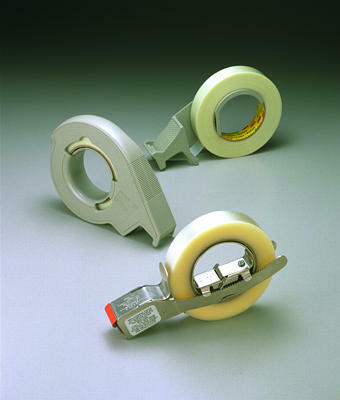 Convenient and reliable hand tools to make quick work of bundling and box closing with a variety of Scotch� Filament, Strapping, Tear Strip, and Specialty Tapes. Constructed from rugged materials for high-impact resistance and durability in demanding environments. Blades are specifically designed to cut smoothly through the stronger constructions of filament and reinforced strapping tapes.